ca 460 - 450 B.C. 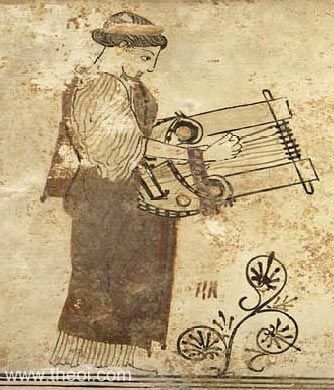 Detail of a standing Muse playing the lyre from a scene depicting seven Muses and a shepherd. She is probably Calliope, the Muse of epic poetry.